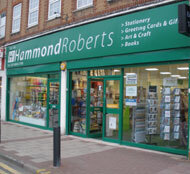 Hammond Roberts are a well established stationery shop with a very comprehensive range of stationery items serving not only Eastcote but Ruislip, Pinner and the surrounding area. They have a large selection of stationery items ranging from pens to pads. 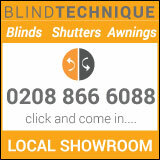 They also have a really vast selection of greetings cards suitable for all occasions. A special Book ordering service is available ensuring that the title you need can be ordered and then picked up from them. They also stock a great many artists materials from paints to pastels.